WOW! What a view! 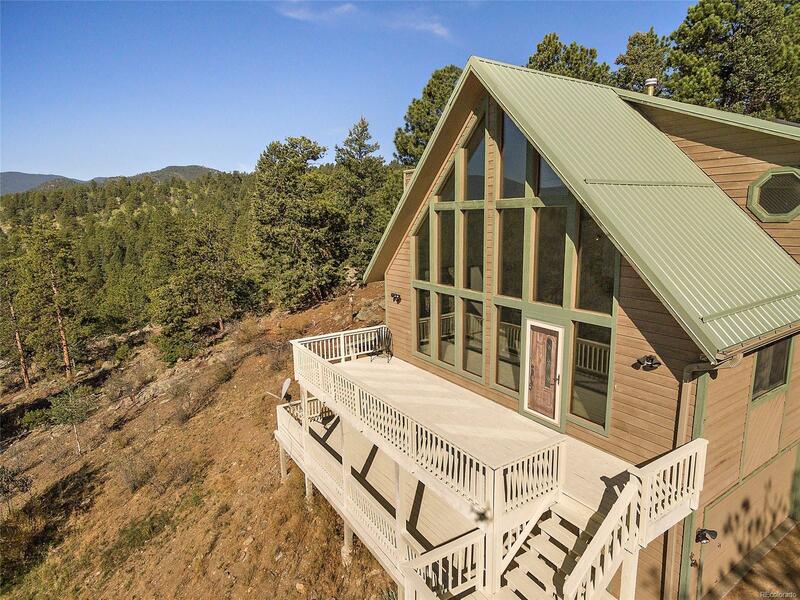 Surrounded by majestic peaks, this sunny home is the epitome of Rocky Mountain living. The open floor plan features a beamed and vaulted ceiling, a cozy wood burning fireplace and floor to ceiling windows that keep the home light, bright and warm in the winter. The kitchen and baths have been updated and new carpet installed. The master suite includes a sitting room, walk-in closet, updated bath and stunning views. The lower level is finished and equipped with a full bath, laundry room, family room and a dry sauna. With two south facing decks, there is plenty of room to spread out and take in the majestic surroundings, and thereâs even an enclosed section would be the perfect spot to create an outdoor living room. The huge 2 car garage has plenty of storage space and is accessible from a level, south-facing driveway with a parking pad. A quick drive to 285 and commuting is a breeze. Youâre right on your way to all the amazing outdoor activities Colorado has to offer!